A weed is a plant that grows where it should not. Weeds wage a struggle against lawns with the intention of extracting moisture, nutrients, and light source. The presence of weeds gives the appearance of a poorly maintained or unattractive lawn, especially if there is a large quantity or they are coloured. We can attribute the presence of weeds to a lack of lawn density, poor soil, or soil-borne diseases. By identifying the main culprits and applying adequate fertilizer as well as a specific weed control product, most lawns can be well-maintained and flourish for the entire season. Commonly, 25 to 40 seeds per stem are produced in green to bluish-green spikes which are 5 to 30 cm in length. Quackgrass is a plant that spreads rapidly and can be difficult to control. It flourishes in hot and sunny conditions. Before dying in the fall, a single weed can distribute thousands of seeds which will be ready to germinate the following spring. There are several tools that exist to help uproot the plant manually. There is no conventional herbicide can control Quackgrass. There is no specific approved product in Canada. 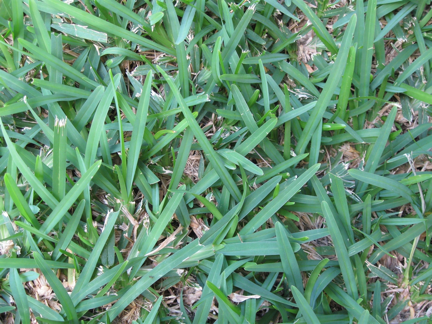 Crabgrass (Digitaria sanguinalis) is a grass which extends from a central root to a weak and dry portion of the soil. It can quickly become a problem because it grows vigorously in warm and dry conditions. Before dying in the fall, the plant spreads its seeds on the ground. A single plant can distribute dozens of seeds that are ready to germinate the following spring. From spring to autumn. In the spring crabgrass looks like regular grass. Afterwards, it becomes paler in colour and the ends curl. Often it grows more rapidly than regular grass. The plant has a tendency to grow in weakened areas, such as along sidewalks and cement borders. When heat is stored in concrete, pavement, asphalt etc …, regular grass weakens and it is replaced by crabgrass. It becomes dark green, purple, and increases in seed count. These seeds return to the soil through mowing or when the plant dies and, consequently, spreads the following spring. 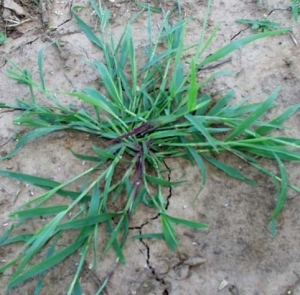 There is no conventional herbicide can control crabgrass. Application of a preemergent herbicide specifically for crabgrass. 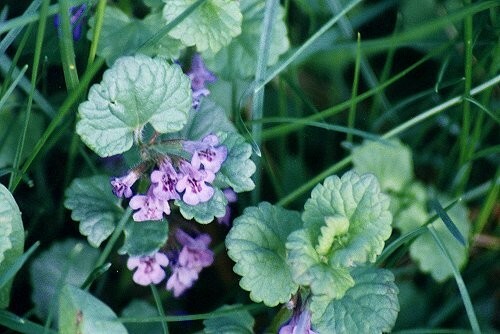 Creeping Charlie ( Glechoma hederaceas ) is a perennial weed that grows low to the ground. A member of the mint family, Creeping Charlie will produce a minty scent when its leaves are crushed and it sends out tiny, but rather pretty blue-violet flowers in the spring. It can reproduce from its seeds, but it spreads most readily by setting down roots all along its long stems. Its ability to spread easily is a trait that makes it so difficult to kill. Topdress and sow new grass seed. Remove manually as much as possible and apply topdressing. Remove as much of the root as possible. 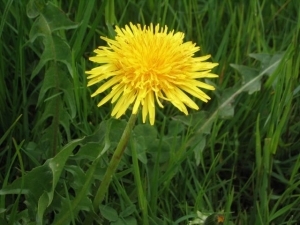 The dandelion is a perennial that grows best in moist areas in the full sun; however, it can survive some shade and dry conditions once established. It produces a strong root capable of penetrating the soil to a depth of 10 to 15 feet, but it is generally 6 to 18 inches deep. Buds grow from the uppermost area of the root, producing a crown that can regenerate “new” plants even though the plant is cut off at or below the soil surface. Because dandelion seeds can be windborne for several miles, prevention of new infestations is difficult. All throughout the season, blooming in mid-May and late summer. The application of a herbicide is required. Each leaf is oval-shaped, approximately 5 to 20 cm long and 4 to 9 cm wide. There are five to nine conspicuous veins. The flowers are small, greenish-brown with purple stamens, growing in a dense spike on top of a stem. 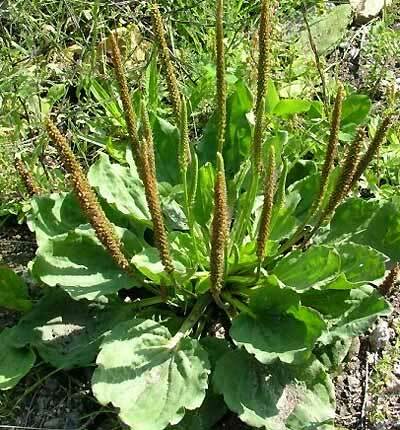 Plantain is wind-pollinated, and propagates primarily by its seeds, which are held on long, narrow spikes which rise well above the foliage. Each plant can produce up to 20,000 seeds, which are very small and oval-shaped. 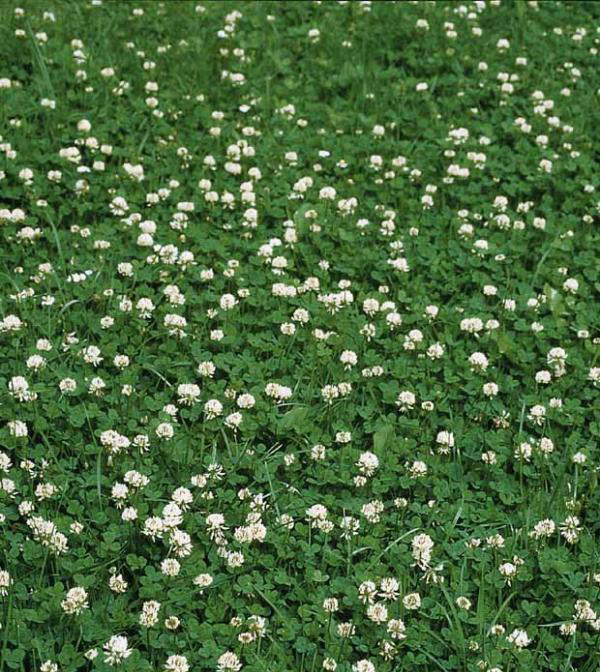 Used for medicinal purposes in certain parts of the world, in our area it is first and foremost considered a lawn weed. All throughout the season, blooming from June to October. 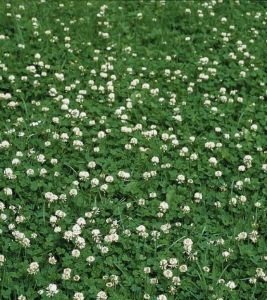 White clover (Trifolium repens) also known as Dutch clover is a species of clover, characterized by a leaf with three leaflets. It is low growing, with heads of whitish flowers, often with a tinge of pink or cream that may develop with the aging of the plant. For small quantities, remove manually. For large quantities, the application of an herbicide is required. Oxalis is a very aggressive perennial weed that flourishes in the sun or shade, and spreads quickly by seed. 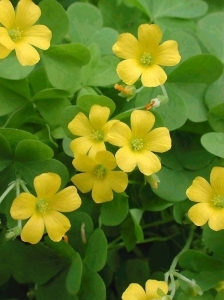 Its foliage is clover-like or heart-shaped. It produces small yellow or pink flowers. Even with the use of conventional herbicides, it is difficult to control this type of lawn weed. After having mowed 2 to 3 times, the head of the plant is removed and will generally die and disappear completely.